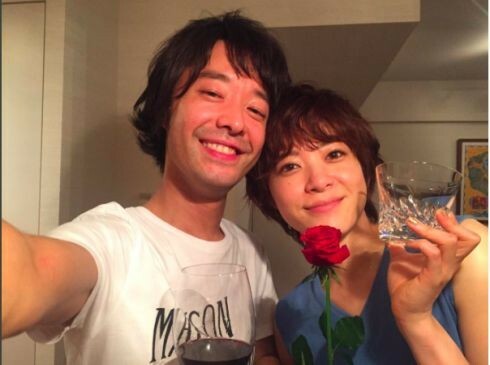 Actress Ueno Juri (30) and rock band TRICERATOPS' Wada Sho (40) have tied the knot. The couple made the announcement on May 26 via FAX through their agencies. In a joint statement, Ueno and Wada commented, "At this time, Wada Sho and Ueno Juri have decided to get married. It was a very natural thing for the both of us. We also feel a lot of joy from this occasion. We hope to move forward one step at a time while supporting each other." On the same day, Ueno uploaded an image on Instagram, saying, "At this time, I married Wada-san! In messages and letters from my fans, many expressed concern about my private life whether I'm in a happy relationship or if I'm going to continue working without getting married. I wanted to let everyone know, so I'm happy this day has finally come." According to the FAX announcement, Ueno and Wada started dating in fall of 2015 and registered their marriage on May 26. The couple is not living together at the time. It hasn't been decided whether or not they will hold a wedding ceremony and reception. Finally, they are not planning on holding a press conference announcing their marriage. Ueno and Wada's relationship was first reported last month. At that time, both agencies neither confirmed nor denied the reports. aww congrats to them both!! !